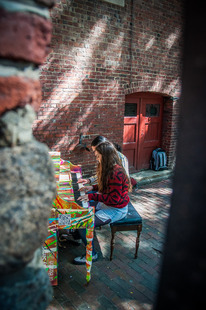 Piano decorated by Giovanni DeCunto, hosted by Old North Church and donated by Steve Meredith. 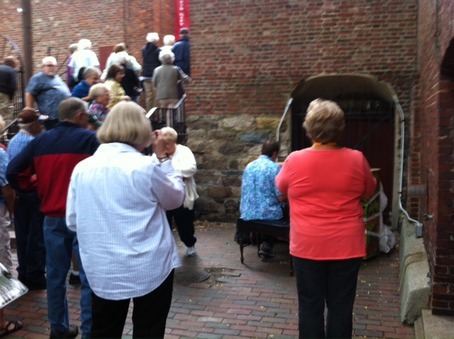 Thanks to NEMPAC; Paul Revere House. Gem Club perform their song 'Soft Season'. Shot and edited by Jared Graves. A lovely break while walking the Freedom Trail! 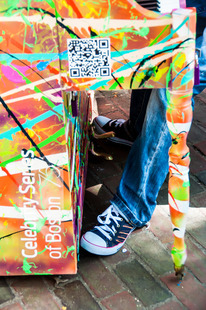 I am a recording artist and songwriter from Boston. I used several of the pianos and included them in a music video for my song "Hold Me Down" that I will be releasing this week! This was just one of the many I used. Thank you so much for providing these awesome pianos in cool locations. enchantingly inviting, "Play me, I'm yours." Sang a different song at each piano, here's my cover of the beautiful "Hallelujah". Began with an audience of 1 which grew into a crowd of 30! 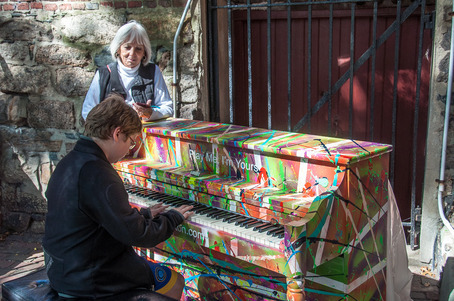 What a great spot for the beautifully painted piano! 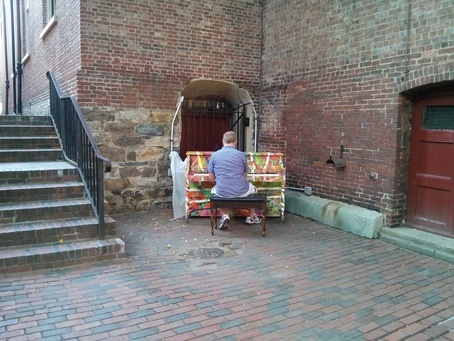 This piano was so convenient to find after bell ringing practice! I had the pleasure of serenading this tour group with What a Wonderful World. I think they all took my picture at the same time. Beware! This is a haunted piano. It keeps moving. Such a wonderful little corner.